This information is presented in compliance with the ABA Standard 509 Report for 2015. The U.S. Congress chartered Howard University, a coeducational private institution in Washington, D.C., in 1867. Howard is a historically black institution that offers an educational experience of exceptional quality to students with high academic potential. Particular emphasis is placed on providing educational opportunities for promising African Americans and other minority students. The university has a diverse student body and faculty. 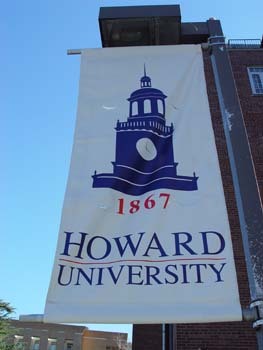 The main campus of Howard University is located in northwest Washington, with the law school on a separate campus approximately fifteen minutes away. Howard University School of Law is accredited by the American Bar Association’s Council of the Section of Legal Education and Admissions to the Bar. or call (312) 988-6738 for questions about the accreditation of Howard University School of Law.